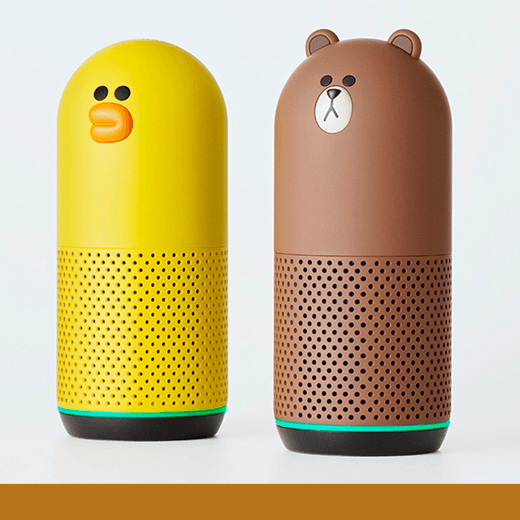 With this character-type AI speaker users can easily control other IoT devices, answer questions and play music anytime, anywhere. Most AI speakers only focus on delivering their functional aspects to the customers; lacking is the human interaction between the speakers and the users. With Clova Friends, people do not have to feel like they are talking to a machine, but rather they are communicating with a human-like device.